Control your security system, lights, locks and thermostat on the go. Did you forget to arm your system? Are you out late and wish you had left the lights on? Do you have visitors to let in? With smart home solutions, manage it all with your smart device anytime, anywhere. Comfort and convenience in the palm of your hand. Use your smartphone, tablet or computer to control your security system, lights, locks, thermostat and more…wherever, whenever. Now you can enjoy doing the things you love while staying connected at home. Use your voice to control connected devices around your house with Amazon Echo. 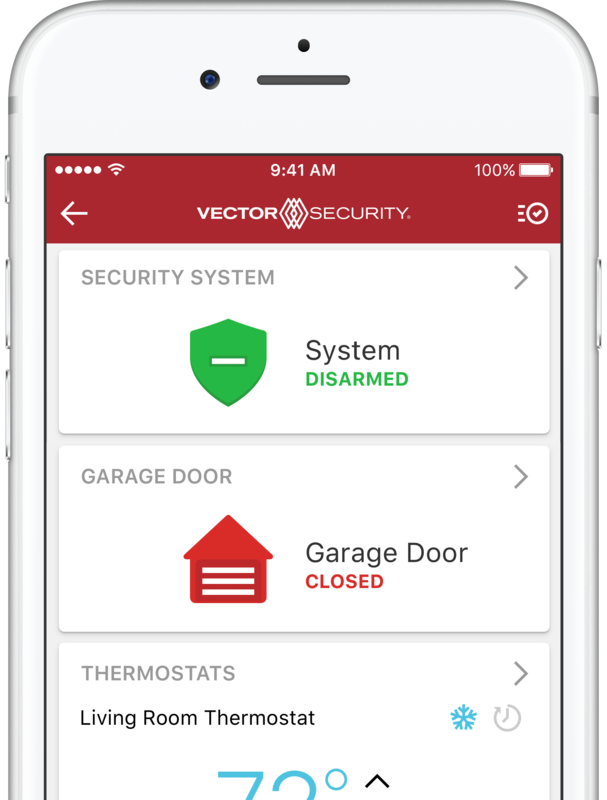 Exclusive to Vector Security smart home customers, the Vector Security Home Automation app uses award-winning technology and cloud services to power security and smart home solutions…all from a single platform. From protection against intruders to monitored fire and carbon monoxide alarms, enjoy peace of mind in your home. Our experts create the right security plan for your lifestyle and budget. And with our mobile solutions, manage it all conveniently from your computer or smartphone. See what’s happening at home even when you’re not there. Get mobile alerts, view clips on your smartphone, tablet or computer, and set triggers that let you control what’s recorded. Manage your energy use and become more energy efficient by controlling lights and thermostats in your home, or setting them on a schedule that fits your lifestyle. You’ll still enjoy comfort and safety, while reducing your energy bill. You know that feeling…you drive away from your home and wonder if you locked the front door, or closed the garage door. 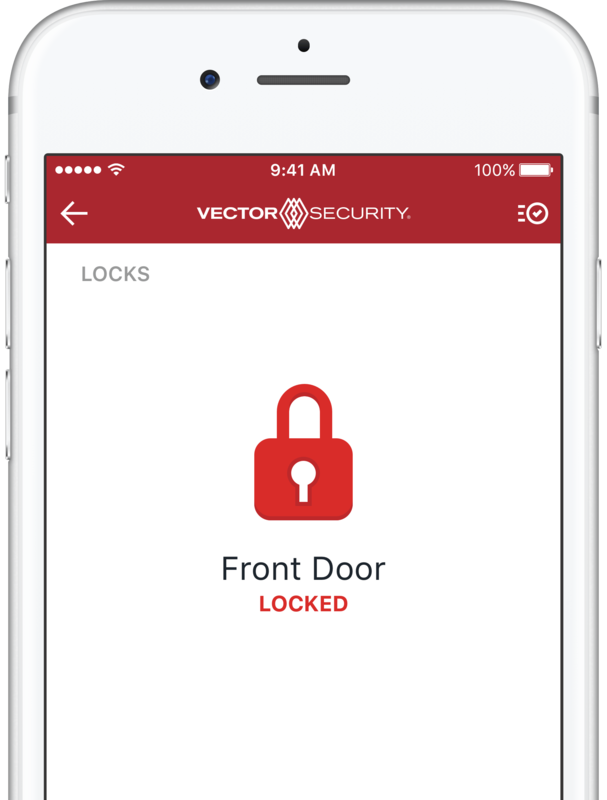 Instead of heading back, access control solutions let you check and control your locks and garage door opener from your smartphone or tablet. Experience the peace of mind.